Happy National CRNA Week 2019! Here at Barton Associates, we’d like to thank the American Association of Nurse Anesthetists (AANA) for sponsoring this week from January 20 to 26. CRNA Week is an annual celebration of anesthesia patient safety and the nation’s nearly 53,000 Certified Registered Nurse Anesthetists (CRNAs) and student registered nurse anesthetists. 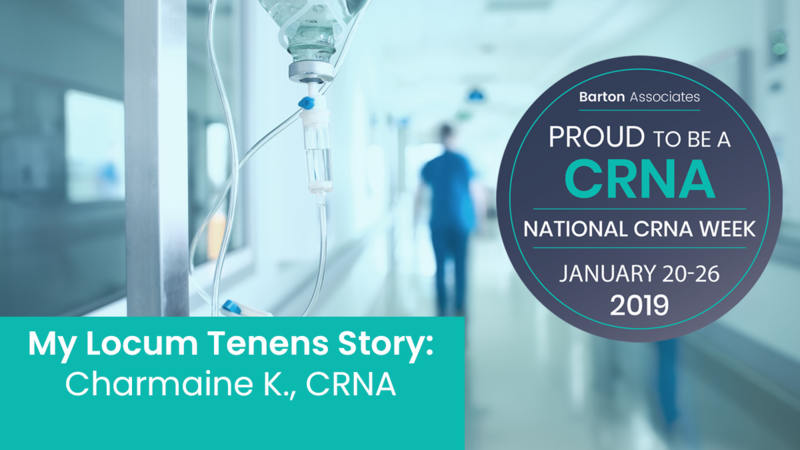 For CRNA Charmaine K., locum tenens is a way of life and a unique career choice that has allowed her travel throughout the United States. In preparation for CRNA Week 2019, Barton Associates had the chance to speak with Charmaine, who told us about how she got into locum tenens, her day-to-day work in the operating room, and why she continues to take assignments with Barton. Before she was a locum tenens CRNA, Charmaine traveled the United States as registered nurse. 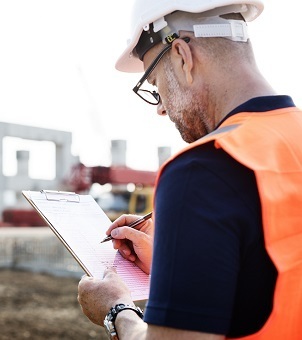 Working in different environments to learn new skills is an element that many of our locum providers have also experienced. 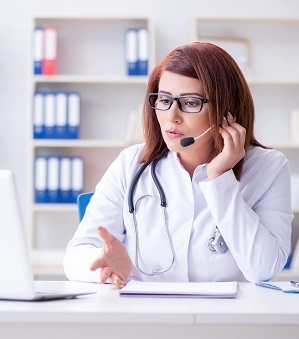 Skills are not only gained clinically, but also strengthened by working alongside different types of people, patients and personalities. In an often stressful and tense environment like the operating room, Charmaine points out that navigating personalities can be important. Even if people do not seem nice at first, she feels that first impressions can sometimes be wrong, perhaps due to someone having a bad day or trying to feel you out. “The OR is a rough environment. It’s stressful but they also want to make sure that you’re competent to be a part of the team,” Charmaine said. The seriousness of Charmaine’s work and the work that CRNAs do every day especially comes to light in one story that Charmaine remembers clearly, from her assignment years ago in Texas. Charmaine also wanted the blood in the room, which was not standard procedure. But thanks to Charmaine’s actions before the procedure, having the blood in the room and giving the patient a second IV, the patient was stabilized and made it through the procedure. “Every case is important. Even for the smallest thing... You have you have to go in there like something could go wrong." 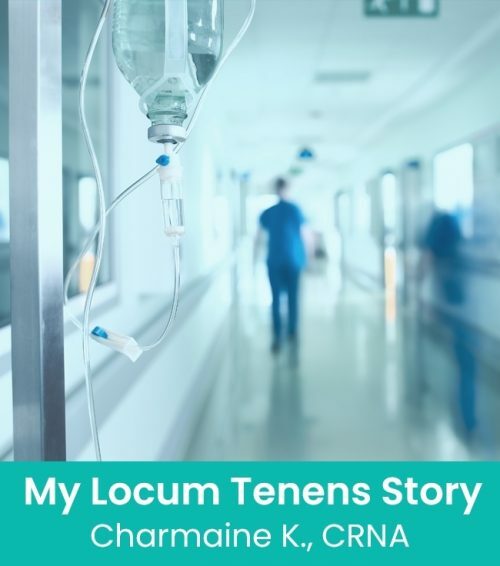 For Charmaine, being a locum tenens CRNA isn’t about the money, but rather the experience. Charmaine’s Barton recruiter, Nick, has also been a huge help along the way. Considering all of the lifesaving work CRNAs like Charmaine do every single day, whether on a locum assignment or not, Barton Associates is honored to be able to partner with these providers and support their invaluable role ensuring safe anesthesia care for all patients, no matter their age, procedure or healthcare setting. We appreciate the contributions you make in our community near and far - thank you! 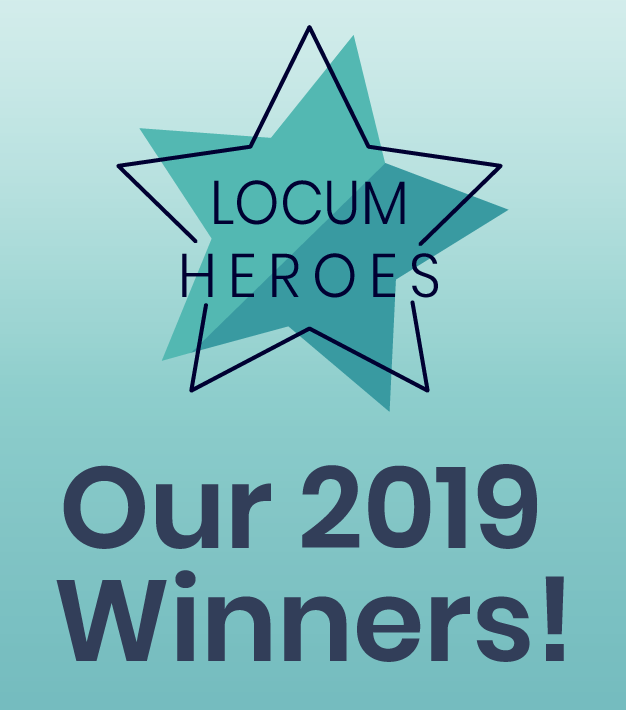 INTERESTED IN SHARING YOUR LOCUM TENENS STORY FOR A CHANCE TO BE FEATURED IN BARTON CONTENT? LET YOUR RECRUITER KNOW, AND WE’LL MAKE IT HAPPEN! Ellen Lowry is content marketing specialist and former recruiter for psychiatrists and neurologists at Barton Associates' Peabody, MA, headquarters. Originally from the Boston area, she joined Barton in January of 2018 after earning her degree in communication from the University of Maryland, College Park, and completing a four-month internship at Walt Disney World.